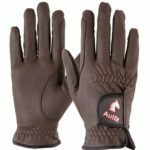 What Are The Best Horse Riding Gloves On The Market? Riding gloves are a great addition to your riding wardrobe. They can drastically reduce chafing and blisters, especially if you have a horse who pulls or a fatty who snatches his head away to eat grass, and they can also add to your look of professionalism. Also, they are an added layer in winter when the cold wind can give you chilblains and make your fingers feel icy! They can also help with gripping the reins and allow you more control of your horse. 2.1 1. Which is better, gloves or bare hands? 2.2 2. Don’t gloves interfere with your contact with your horse? 2.3 3. How can you keep riding gloves secure and wrinkle-free on your hands? 2.4 4. How should riding gloves fit? 2.5 5. How do you choose the right gloves? 2.6 6. What is the best material for riding gloves? 2.7 7. Should the palm be made of a contrasting material? 2.8 8. How do you keep the fingers of your riding gloves from wearing out? 2.9 9. What are the best brands of horseback riding gloves? 2.10 10. How many pairs of riding gloves do you need? 2.11 11. What are the most important features to look for in good riding gloves? 2.12 12. Do thin gloves wear out quickly? 2.13 13. What types of materials are used for riding gloves? 2.14 14. What are the advantages of synthetic materials? 2.15 15. Which is better, genuine leather or synthetic leather? 2.16 16. Can you ever machine wash leather gloves? 2.17 17. Can you really machine wash synthetic gloves? 2.18 18. How do you take care of genuine leather riding gloves? 2.19 19. Are fabric riding gloves good? These are great gloves designed to perform in all aspects of riding. They are super comfortable and ideal for the show ring or the field, and are durable enough for field use or for wearing in the ring. Double stitched outer seams for good performance – This ensures that there will be no rips or seams falling apart, and keeps the gloves going for as long as possible. Comfortable fit gloves – The Spandura material is soft and comfortable, so that you will barely notice you are wearing gloves! Light hands are one of the most important things about riding, and with these gloves you will certainly have those. Patented rein cut design – The shape and cut of these gloves are perfect for riding and controlling your horse with ease. The fact that these gloves are designed with riding in mind makes them ideal everyday riding gloves, as well as perfectly adapted for use in the stable or the field. Durable and long lasting – These gloves are an investment. Although they may initially seem pricey they won’t start showing sign of wear after a month; they will keep going and going, meaning that you can enjoy their benefits for a long time to come. Can be delicate – After months of hard use, the stitching has reported to be coming loose. A great pair of sturdy gloves for yard wear and riding alike, these are a good pair that should last you for a long time to come. This is a great pair of breathable mesh gloves for everyday use. They are suitable for warmer weather as well as for the colder months, with their cool, air breathing components. Good grip for the reins – The SureGrip synthetic suede palm makes holding on to your horse a whole lot easier. This can prevent wear and blisters for your hands, and make riding a lot more comfortable. 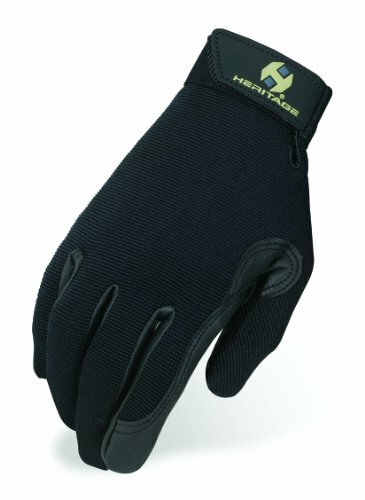 Great for hot weather – These gloves, with their breathable construction, allow for good ventilation and will prevent sweaty, overheated hands. Ideal for the show ring – Practical as well as smart, this pair will be suitable for showing as well as for everyday use around the yard. Adjustable for a good fit – Velcro fastenings around the wrists make these gloves suitable for most hand sizes. Even for those with small wrists or slightly shorter fingers, the adjustments can make all the difference. Mesh can rip – The breathable fabric has been known to catch on Velcro and other sharp surfaces, leading to rips and holes. A great pair of lightweight gloves that can protect your hands as well as making you look smart in the show ring, these gloves are a great addition to your horse riding wardrobe. 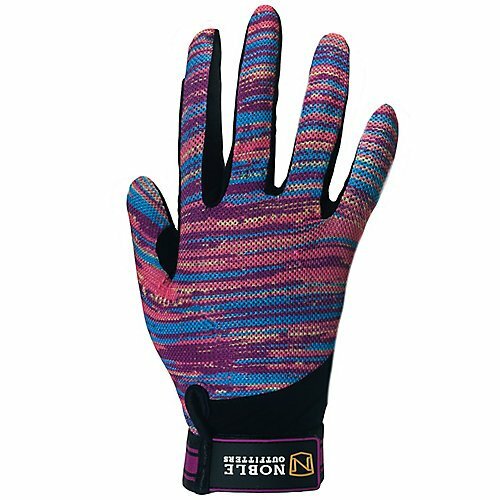 A comfortable pair of lightweight gloves, ideal for any horsey activity. They can keep your hands warm, prevent chafing and rubbing, and also add to your attire in the show ring – what more could you want? Lightweight, so perfect for warm weather – Wearing gloves in the height of summer can be uncomfortable – but can still be necessary to help keep your hands protected. Having gloves that stay cool enough to be comfortable is a real bonus. Sensible colour options – If you are looking for gloves that are acceptable for the show ring as well as the yard then these are the pair for you – they are unobtrusive as well as practical. A good price for good gloves – You don’t want to be spending the earth on the best horse riding gloves, so these are a really good option as they are relatively inexpensive, yet still good quality. Long lasting quality components – The synthetic RX-7 leather makes this pair of gloves durable, long lasting and strong enough to withstand a bit of hard use. They won’t give up after a week of mucking out and cross country! Sizes run small – Worth bearing in mind before you make a purchase, these gloves can be slightly on the small side. Simply order a half or a full size bigger than you normally would and this problem will be solved. A pair of synthetic leather gloves that are strong and durable, these will stand you in good stead both on the yard and in more professional situations like showing and dressage. They are made from quality materials so your hands will be as comfortable as they can be. 1. Which is better, gloves or bare hands? 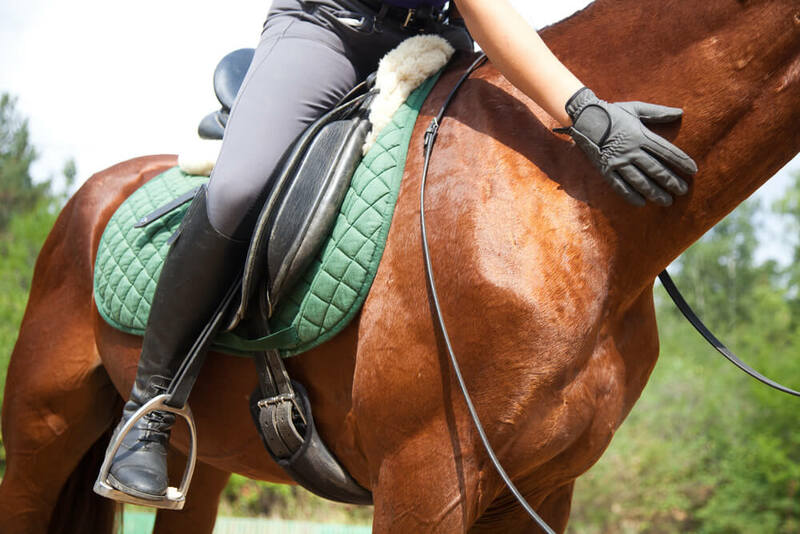 The wrong gloves can ruin your riding experience and put you and your horse in danger. The right gloves are better than your two bare hands. When it’s hot, cold or wet out, your hands can lose traction on the reins due to moisture, numbness and/or fatigue. Good gloves protect your hands and make it easier to hold the reins consistently and stay in effective communication with your horse. This can really help your performance in disciplines such as jumping and dressage. 2. Don’t gloves interfere with your contact with your horse? The wrong gloves could certainly hinder your horsemanship. That’s why it’s important to take plenty of time to find gloves that fit closely and comfortably, allow full movement of your hands and enhance your hold on the reins and your sense of your horse. 3. How can you keep riding gloves secure and wrinkle-free on your hands? Be very careful to get a perfect fit. Look for gloves that have elastic or Velcro closures at the wrist. 4. How should riding gloves fit? Your riding gloves should feel light on your hands, allow freedom of movement and provide excellent grip on the reins. 5. How do you choose the right gloves? Choose gloves that work well with the type of reins you use. For example, gloves with PVC dots to not work well with rubber reins because they cause too much friction. If you have long nails, don’t choose gloves with nylon inserts in the upper part of the fingers. Choose the right finger length to accommodate your fingers and your nails. Make sure your show gloves are quick drying. For long wearing gloves, avoid nylon inserts. Choose gloves that can be machine washed. 6. What is the best material for riding gloves? Ideal materials vary from season-to-season, but all should be thin, breathable, absorbent, light and stretchy. In the past, thin leather was preferred, but these days synthetics tend to be more popular because they are more durable, are easier to clean and dry more quickly. 7. Should the palm be made of a contrasting material? A slightly rougher material such as genuine or synthetic suede can be helpful in getting a better grip on the reins. 8. How do you keep the fingers of your riding gloves from wearing out? Choose gloves that are designed with reinforcements in areas that get the most wear (e.g. between fingers). These gloves wear longer and help prevent blisters caused by rubbing. 9. What are the best brands of horseback riding gloves? SSG Pro Contact Show gloves consistently get high ratings in terms of grip, workmanship, durability and affordability. Roeckl Chester Gloves provide flexibility, along with a very comfortable grip. T-de-T gloves are lightweight, stretchy, sensitive gloves that provide a very good grip. Kyra K Deerskin glove is a heavy-duty glove that is quite soft and comfortable. Heritage Pro-Fit has reinforcements in the index finger for longer wear. 10. How many pairs of riding gloves do you need? You should have at least one good general purpose pair that is comfortable year-round and works well in a variety of weather and riding conditions. Additionally, you may need a pair (or several) of white gloves for showing. Depending on weather in your area, you may need heavy duty gloves for winter, water resistant gloves for rainy days and so on. Many riders gather quite a collection of gloves as part of the trial-and-error process of seeking the perfect pair. 11. What are the most important features to look for in good riding gloves? Safety, fit and functionality are always the top considerations. Other qualities, such as style, ease of cleaning and preferences in materials are also important. 12. Do thin gloves wear out quickly? The advantage of very thin gloves is that you can get a skin-tight fit for great feel, grip and sensitivity. When seeking a pair of “second-skin” gloves, look for those that have nylon reinforcements at the main points of wear. This feature helps guarantee longevity in a pair of light, thin, sensitive touch riding gloves. 13. What types of materials are used for riding gloves? Show/training gloves can be found in fabric, leather, synthetic and leather/synthetic combinations. Leather gloves can be had in all weights and textures. 14. What are the advantages of synthetic materials? Synthetics are durable, quick drying and easy to launder. If you like the appearance and feel of leather, look for clever combinations that make the most of both materials. 15. Which is better, genuine leather or synthetic leather? Many synthetics are so like leather that the only way you can tell the difference is to throw them in the washer and dryer. If they come out beautiful, they’re synthetic. If they come out destroyed, they’re leather. High quality synthetics typically wear better and launder more easily. 16. Can you ever machine wash leather gloves? Some can be washed on the gentle cycle, in cool water with a product especially formulated for washing leather. 17. Can you really machine wash synthetic gloves? Yes, wash on gentle with a delicate fabric laundry product. Dry flat in the open air or in the dryer on the low setting or air only. Use a fabric softener sheet, and toss a dry, lint free dish towel in with the gloves to help dry them out. 18. How do you take care of genuine leather riding gloves? For ongoing maintenance, just wear your leather gloves when you clean and lubricate your saddle and bridle. Apply the products you use to clean your tack as if you were applying lotion to your hands. If your leather gloves get very dirty, keep them on your hands and wash them in lukewarm, running water (just as if you were washing your hands) with saddle soap. Blot them dry with a towel and then allow them to air dry in a warm (not hot) airy setting. When they are dry, put them back on and apply the leather conditioner of your choice, just as if you were applying hand lotion. 19. Are fabric riding gloves good? In hot climates, cotton or polyester/cotton knit can be very comfortable and absorbent. Nylon gloves are stretchy and close fitting and can provide a very good grip when equipped with PVC dots on the palms and fingers. Just remember that these dots can be more of a hindrance than a help if you ride with rubber reins. Agree that you should spend more time and money on selecting a good body protector or best riding boots, however, having a good pair of gloves can finish off your showing apparel. They can also be a really good addition to your attire for yard cleaning duties! Gloves are versatile, and in the colder months, absolutely essential. If you are looking for the best horse riding gloves, then you have found them. If you want a high quality riding glove then try the Heritage Performance Glove. 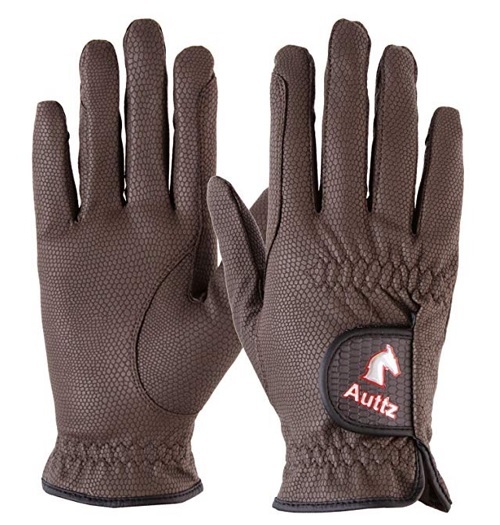 If you are after a lightweight, cool but protective glove then the Noble Outfitters Glove Mesh is for you, and for a great all round glove that is suitable for the show ring then the Auttz Equestrian Gloves Synthetic Leather gloves are for you. I am glad you reviewed an option that is not real leather. I would gravitate towards those first and by the way, they look comfy. After a long day of riding on the trails, you can only imagine how much pain your hands are in without gloves. Horse Riding Gloves, Riding Chaps,Golf Gloves, Dressing Gloves, Salling Gloves, Ski Gloves. we can customize gloves as per your own design/specifications,logo,etc.